Turn-based tactical games have been around since the release of the original X-COM, and it feels like the genre has evolved very little during the course of the years. Settings may have changed, mechanics have been tweaked, but it feels like fans of the genre have been playing pretty much the same game over and over. Mutant Year Zero: Road To Eden shakes up the turn-based tactical formula quite a bit, presenting an incredibly engaging experience that does a great job in making everything flow seamlessly. Mutant Year Zero: Road To Eden is an adaptation of Mutant Year Zero, a pen and paper role-playing game set in a post-apocalyptic world. In this world humanity has basically wiped itself out, leaving the Earth irreparably damaged. The only safe haven for the surviving humans is the Ark, a settlement where they can live almost in peace, away from the dangers that humanity itself has unleashed with its greed. The Ark obviously requires resources to sustain life, and these resources can only be found in the Zone, the now wild areas outside the settlement. Regular humans don’t possess what it takes to survive in the Zone, so they have developed Mutants, half human – half animal enhanced beings who stand a chance against Ghouls and the other dangers found in the Zone. Banding together to explore the wilderness under the guidance of the Elder, the last human with knowledge of the past, they are known in the Ark as Stalkers. Mutant Year Zero: Road To Eden follows the story of Bormin and Dux, two Stalkers who are tasked by the Elder to search for one of the best Stalkers around who has left the Ark in a hurry for unknown reasons. The two eventually discover that he is actually searching for Eden, a mythical settlement where humans may thrive without having to deal with the same difficulties of living in the Ark. Eden is legendary among Mutants, so the two aren’t particularly convinced their fellow Stalker will succeed, but they embark nonetheless on a journey to find the answer. The world of Mutant Year Zero: Road To Eden is quite interesting, although it’s not very original. It’s well developed throughout the course of the adventure, with cutscenes, dialogues, and lost documents constantly providing new details on how the world fell apart. The reasons behind the apocalypse are somewhat predictable, to be honest, but it’s still engaging to piece everything together. Story and characters are also intriguing and well written, with plenty of witty dialogue that lightens the gloomy mood quite a bit, but they never take the center of the stage. If anything, they leave the player wanting for more. While the story of Mutant Year Zero: Road To Eden never quite becomes the main focus of the game, the actual gameplay certainly does. As already mentioned, the experience is well-crafted and avoids certain pitfalls that other similar games fell into. The game is a real hybrid between a role-playing game and a tactical, turn-based game: the adventuring and the tactical elements flow seamlessly into one another, creating an incredibly coherent experience. During exploration, players can control one of their three squad members and roam the Zone, which is divided into smaller locations, obtain resources like scrap and weapon parts, find items like equipment items and weapons, and fight any enemy they find. Exploration, like combat, is made very interesting by the stealth gameplay mechanics. While exploring the Zone, players have the ability to walk normally or turn off the flashlight and crouch. Doing this reduces the chances of the Stalker squad getting discovered by the enemy, whose field of vision is represented on screen. Players can also decide to split-up their squad, hide characters and more. The stealth gameplay mechanics are extremely intuitive, and this is a blessing, as they play a very important role in battles. During the entirety of the game, your Stalkers will constantly be outnumbered, and enemies hit hard even at the regular difficulty setting. Setting up ambushes is therefore critically important, as taking out enemies unseen is often all that separates players from failure. With some enemies being able to call in reinforcements, you’ll need to approach battles in a very smart way: rushing in, guns blazing, often leads to a swift death. The environment can also be used to the player’s advantage, like rocks to hide behind and even shacks, which can also be destroyed with grenades. Once the battle begins, Mutant Year Zero: Road To Eden plays like many other turn-based tactical games. The player and the AI take turns to move their characters; all of them have two action points that are spent to perform any action. Attacking the enemy will end the turn even if there’s still an action point available. There are plenty of weapons included in the game, each with different ammo capacity, power, and range. Grenades are also important, as they allow players to hit multiple enemies at once, granted they are inside the area of effect. 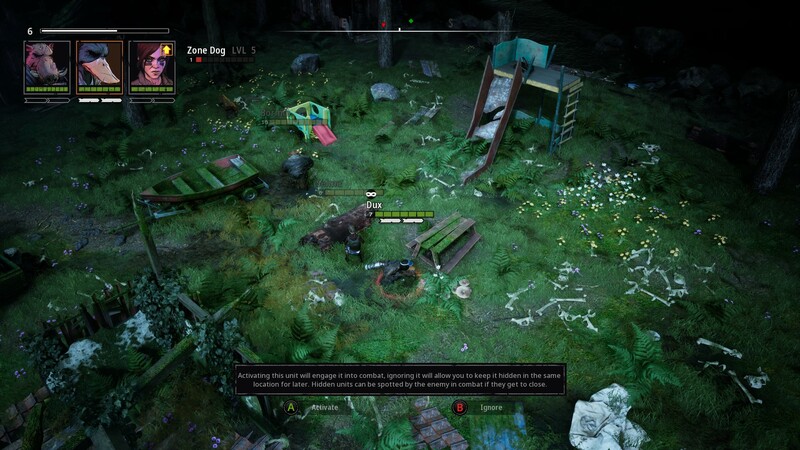 As already mentioned, Mutant Year Zero: Road To Eden features plenty of role-playing game mechanics. After each battle, players will get a certain amount of experience points. Once enough are obtained, the squad level will increase, granting each member Mutation Points. These points are used to unlock Combat Mutations as well as stats improvements, which are permanent once unlocked. Mutations, which effectively are skills that can be used in battle, are divided into Major, Minor, and Passive, and only one of each type can be equipped at the same time, leading to some interesting customization possibilities. Other RPG mechanics included the ability to upgrade weapons at the Ark by spending resources, and the ability to equip items that improve the stats of your Stalkers. Don’t expect the RPG mechanics, however, to make your life any easier in Mutant Year Zero: Road To Eden. The game offers very little chances of grinding, so power leveling in the hope of brute forcing your way through a difficult battle is not possible. Planning and positioning will always be more important, so the sooner you start taking advantage of the game’s stealth mechanics, the easier your life will be. Sadly, there are times that even careful planning will not help you, so there’s still some frustration caused by missed attacks at very high hit percentages and so on. It’s in the nature of the genre, so it’s not surprising. Mutant Year Zero: Road To Eden’s presentation also excels in almost every area. The game runs great on a machine sporting an i7-3770 CPU, GTX980 Ti, and 16 GB RAM at the best possible settings, with no framerate drop or other issues. The system requirements aren’t particularly high, so any recent machine will be able to run the game without any major problem. 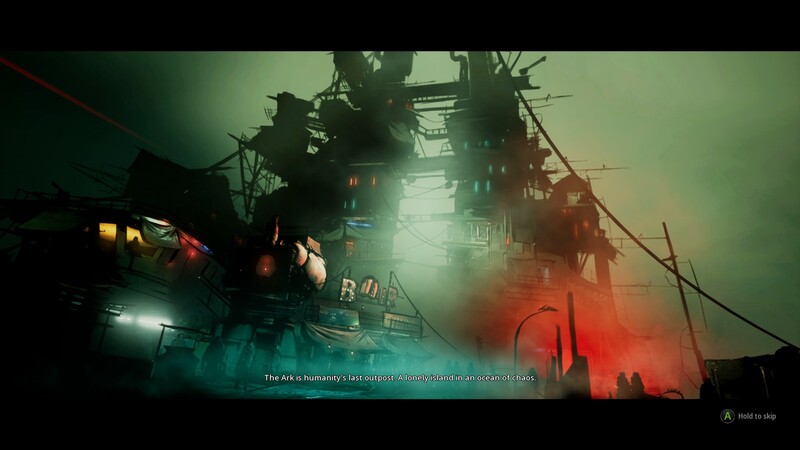 Graphics are very nice as well, with character models and locations both remarkably detailed and unique looking. Voice acting is also spot on, which enables the witty writing to be more enjoyable. The soundtrack is also noteworthy, with a few standout pieces that go quite well with the post-apocalyptic setting. 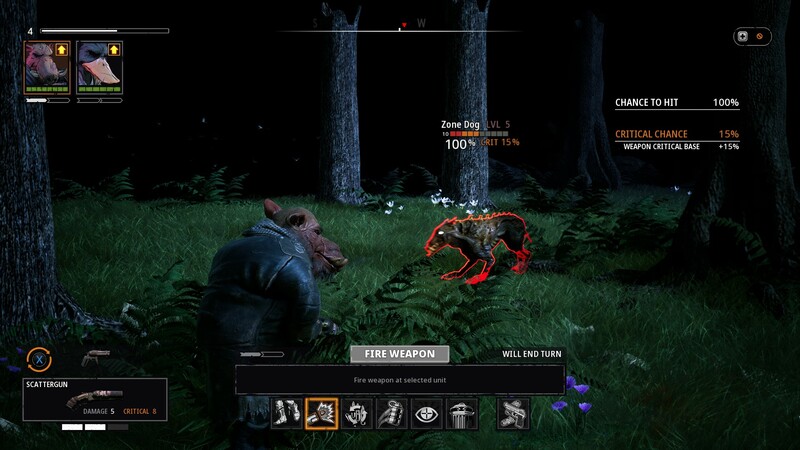 Even the interface deserves praise, as it is well designed and very easy to navigate: in a game like Mutant Year Zero: Road To Eden, this is crucial. Everything considered Mutant Year Zero: Road To Eden is an excellent tactical game that tries, and largely succeeds, in making things different and moving the genre forward. The story may have been developed better, but if you’re in for the gameplay experience, you will not be disappointed. PC version tested (review code provided by the publisher). With its interesting world and characters and excellent gameplay mechanics which advance the genre with the introduction of stealth and seamless exploration, Mutant Year Zero: Road To Eden is one of the best turn-based tactical games released in recent years. The story may have received a better focus, and the combat may have been a little less frustrating, but don't let these small issues block you from getting the game if you're a fan of the genre, as Mutant Year Zero: Road To Eden is well worth your time and money.